We thought we would try something a little different this month – instead of trying a watch for a week, we are reviewing a custom strap. 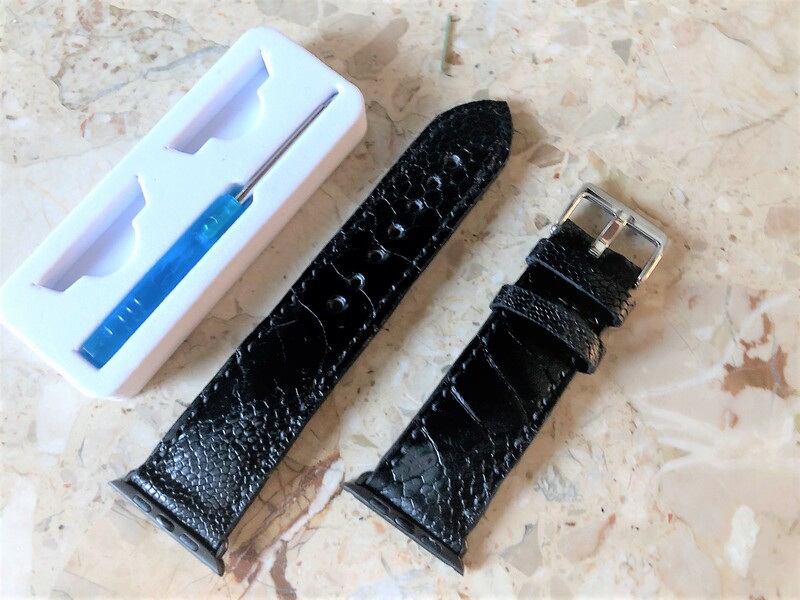 We bought this hand-made Apple Watch strap from the Strap-Works online store, custom made to our specifications. How did we get on with it on the wrist for a week? Watch straps can be easily overlooked, but the strap forms a key part of the look and feel of a watch. Some people never change the strap their watch is on, or choose a cheap replacement when it wears out. A good quality custom strap is relatively inexpensive but can make even a budget timepiece look fantastic. The Apple Watch is a good example – as a relatively plain watch, the strap makes all the difference to how it looks. You can buy a cheap Apple watch strap online from eBay or spend hundreds on the official Apple-branded versions. What we found lacking was anything in-between, until we stumbled upon Strap-Works. We were familiar with Kerr from Strap-Works thanks to the internet watch forums, where collectors congregate to compare their collections. 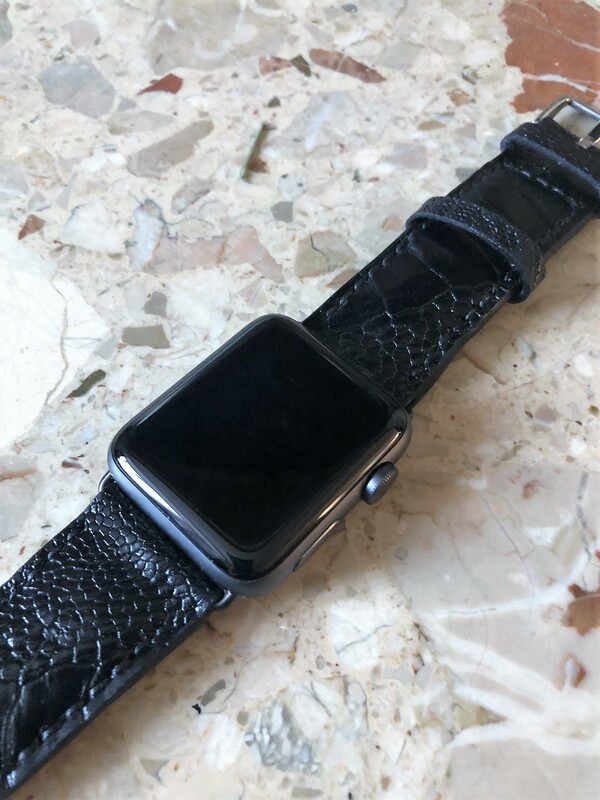 For a fraction of the price of the big-brands, Strap-Works produced us this black Apple Watch strap from ostrich leather. The buckle is shiny silver, so doesn’t match the Apple watch bars. We would have preferred a matching anodised grey colour. This Apple Watch custom strap is as soft and supple as any strap we have seen, and the hand-stitching and finish are absolutely spot-on. It looks good and feels like an expensive strap. Best of all, because it was custom-made, it fits precisely the size required, making it extremely comfortable. We would not hesitate to buy more straps from Strap-Works in the future.